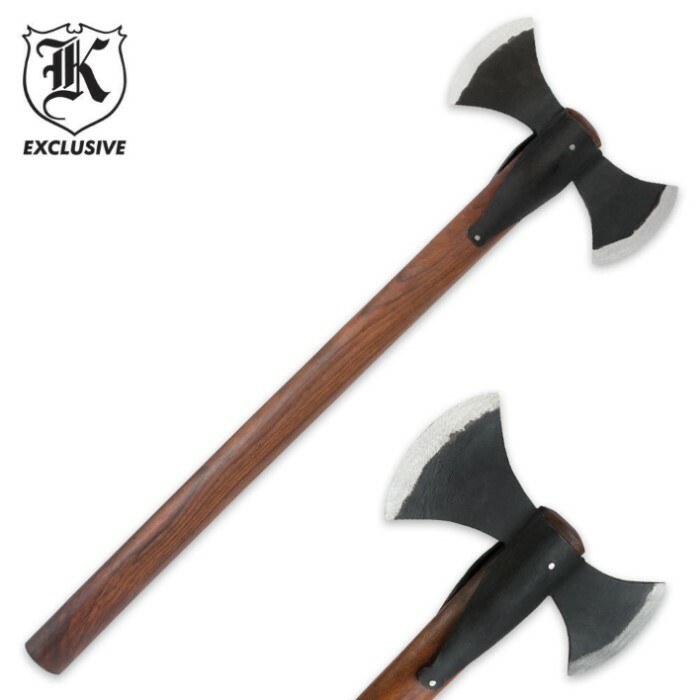 Top-quality hand-forged tomahawk axe delivers a fierce double-blade design done in rock-solid cast iron. The real sheesham wood handle is smooth and attractive, giving this excellent piece a rugged yet refined look and feel. 10-1/4" axe head; 29" overall. SWEET MARY AND JOSEPH ! THIS AX IS A WHOPPER ! IT TAKES TWO HANDS TO HANDLE IT ! 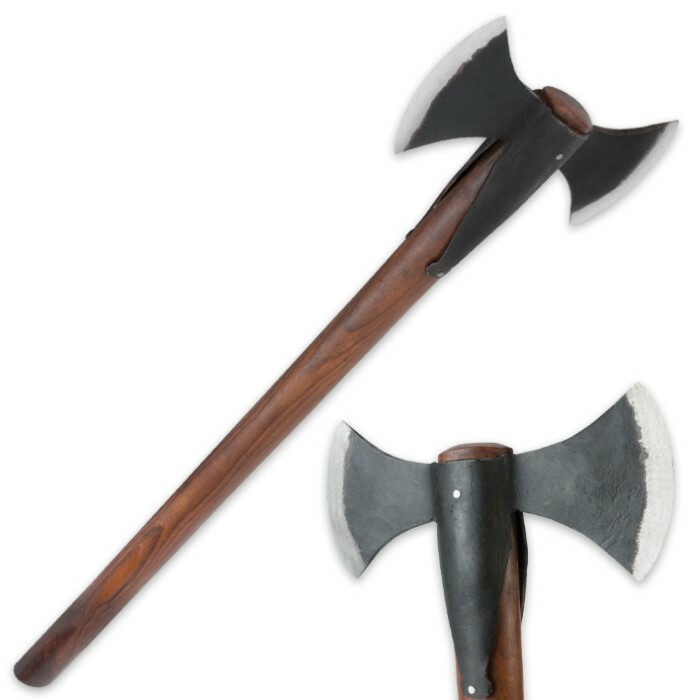 THIS AX IS JUST WHAT I HAVE BEEN LOOKING FOR ! I AM ONE HAPPY PAPPY ! I NEED SIX MORE JUST LIKE IT .